His name is Flame and he makes even the toughest days better. 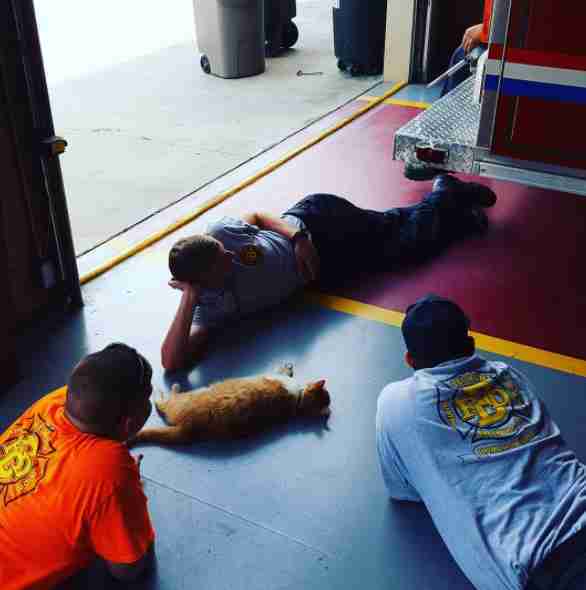 The firefighters at Belmont Fire Department in Greenville, South Carolina, never intended to adopt a cat. In fact, most of them didn’t even think of themselves as cat people. 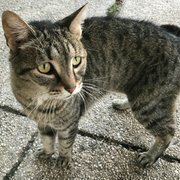 But two years ago, everything changed when engineer Jordan Lide noticed a small, scrawny cat in the grass outside of the station. Noticing how skinny the cat was, Lide went inside the fire department building, found some leftover chicken and brought it out to the cat. “He just ate it like it was the best thing ever,” Lide said. After this, the cat refused to leave. 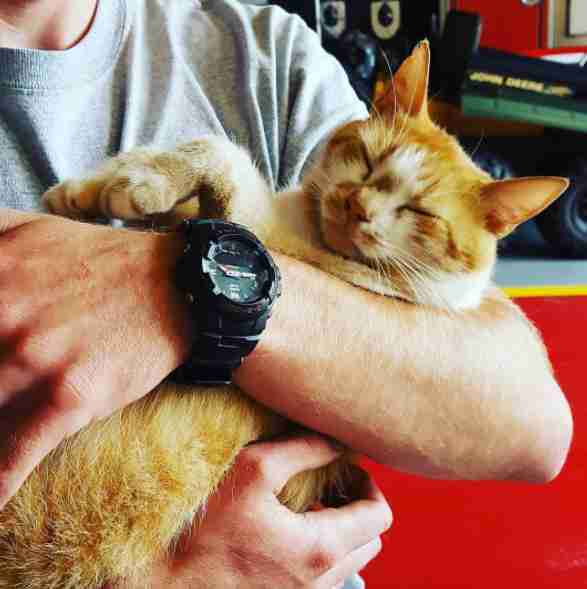 He started hanging around the fire station every day. 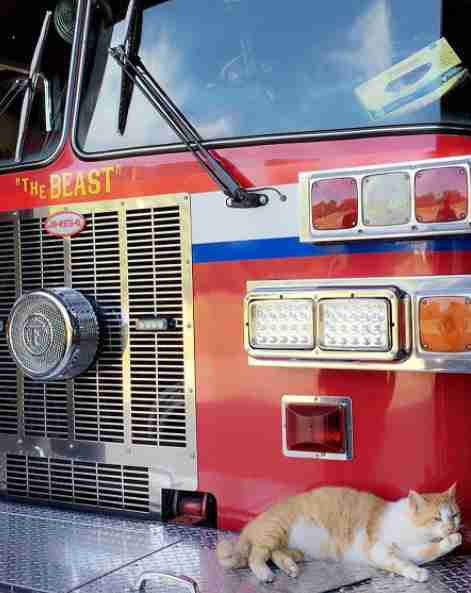 Lide continued to feed him, and so did some of the other firefighters. 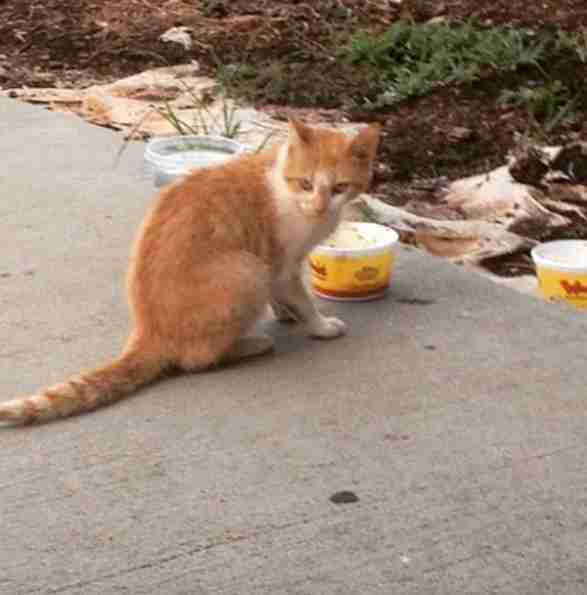 “We started raiding guys’ cabinets, giving him food, and we gained his trust more,” Lide said. Lide did have one big worry — what would the fire chief say? 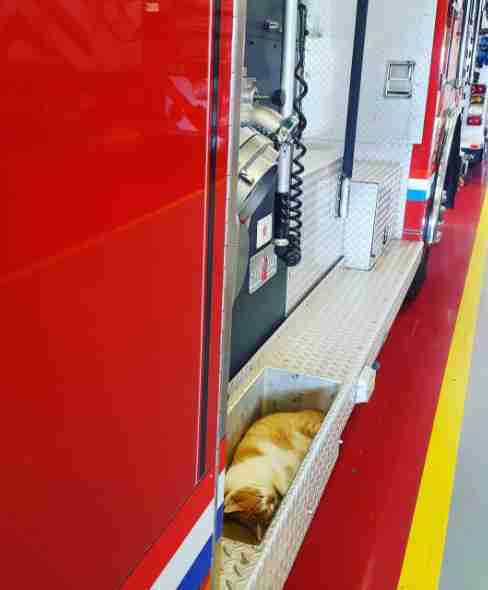 There was a good chance he wouldn’t like a stray cat hanging out in the station. “We were nervous about telling him at first,” Lide said. 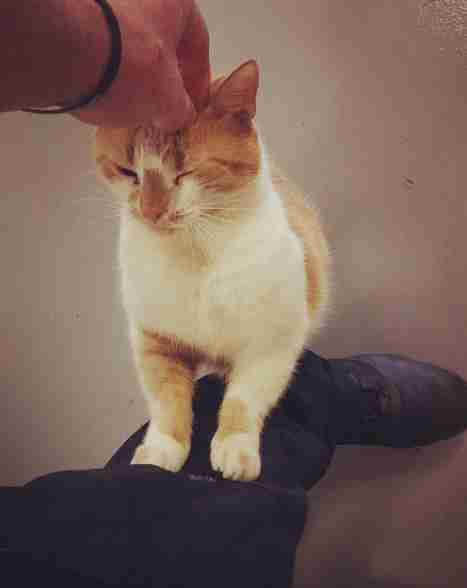 But a few days later, Lide arrived at work to find the chief squatting down and petting Flame. 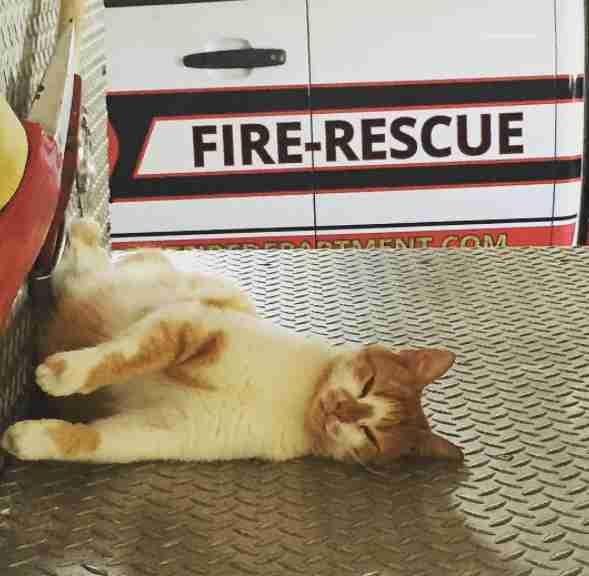 Luckily, the fire chief fell in love with Flame as quickly as Lide and the others did — and he’s now a permanent fixture in the department. At first, the firefighters took turns buying food for Flame, but then the fire chief found a way to work Flame’s costs into their department. The team also gave Flame an official title. And like a true firefighter, Flame seems to understand the importance of water. 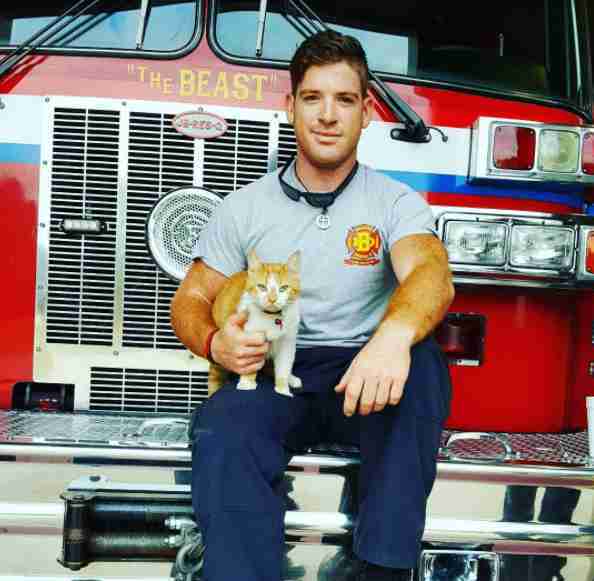 The firefighters may have given Flame a home, but in Lide’s opinion, Flame has given them so much more. And Lide couldn’t imagine life without Flame. 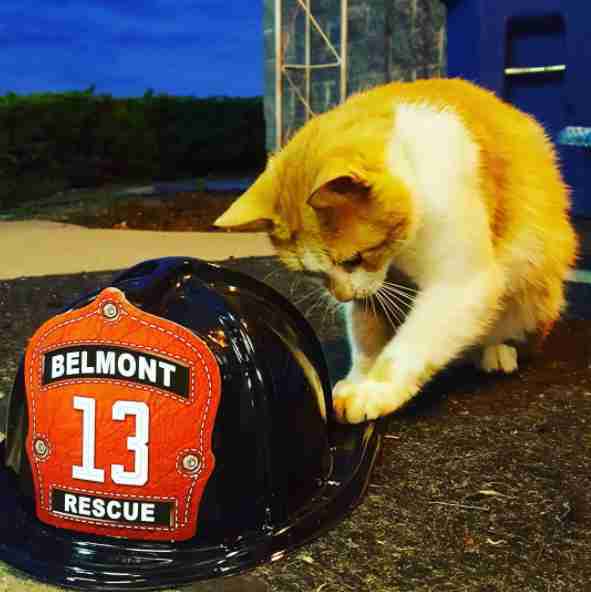 To follow Flame’s adventures at the Belmont Fire Department, you can follow his Instagram account.